This is my BMW 335d xDrive M-sport review or my “have BMW made the perfect diesel engine” review. So, I find myself sat in a BMW 335d xDrive M-sport as a loan car while my Mercedes E-Class which is in the body shop after my fourth accident in 14 months. Yes folks, my E Class has been hit four times since I’ve owned it. How anybody can miss a 5-metre-long brilliant white estate car is beyond me! This isn’t about me complaining about accidents this is a serious review of what is a great engine. Be under no illusion the diesel BMW 335d xDrive M-sport has a great engine but the rest of the car is in my opinion sadly lacking for the price you pay for this car. First of all, let’s get this clear, out in the open, upfront and personal, I am not. Repeat. Not a massive BMW fan. This stems from issues I had many years ago after buying an M3 and it spending most of my ownership at the dealers having problems fixed. The car I had on loan is the BMW 3 Series 335d xDrive M-Sport Step Auto estate (try saying that 3 times) which has the straight 6 cylinder 3 litre turbo diesel engine which does 0 to 62mph (0-100kph) in a staggering 4.8 seconds (video below), so the manufacturers say. Let me just repeat that, 0-62mph on 4.8 seconds. This is a diesel? 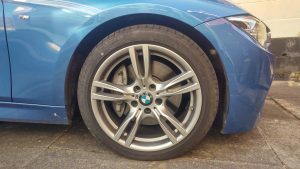 As well as the superb engine, the gearbox in the BMW 335d xdrive m-sport is sublime and changes seamlessly even when in sport mode and in comfort mode you can barely feel it change gear. Dropping the car into standard comfort mode gives nowhere near the performance but is a compromise between performance and economy as well as making this car a pussycat to drive round town. However, having driven the car conservatively over a large distance I am somewhat sceptical at the manufacturers claimed 51 MPG as over a 200-mile trip mainly motorway sticking to the speed limit or doing 50 miles per hour through the M6 roadworks managed only 32 MPG. Cross-country I was lucky if I reached 25 mpg. On my favourite Roads through the back lanes of Derbyshire this dropped as low as 19 MPG! 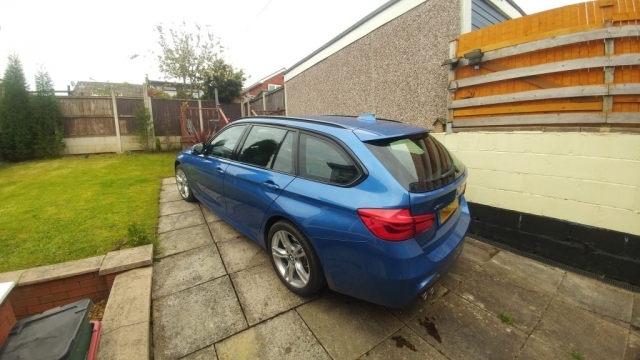 However, if you bought this car for its mpg figures you’d be a fool as this is an out and out wannabe supercar and for the money puts it squarely in the realms of other quick cars such as the Mercedes A45 AMG, however the BMW 335d xdrive m-sport estate is a slightly larger car and in my opinion slightly less refined. 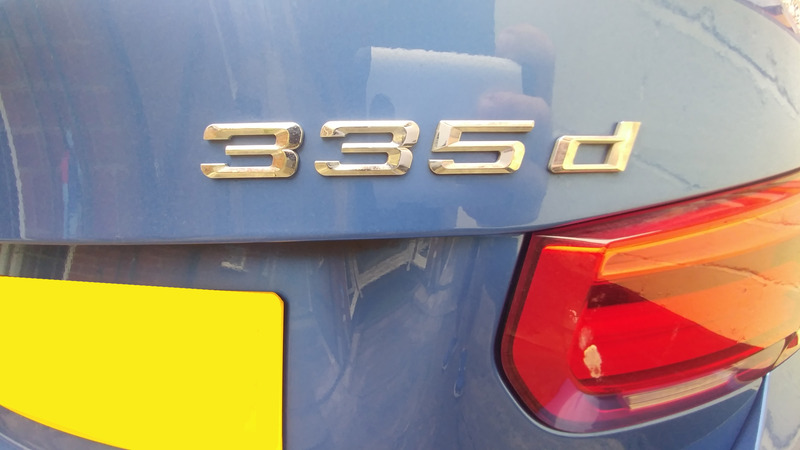 Now I’ve mentioned before that BMW have made a great en gine, I say this because the straight 3 litre turbo diesel engine is just a masterpiece of engineering and technology. 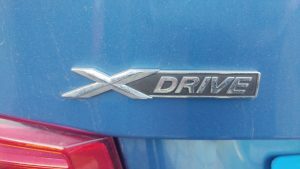 I sometimes had to pinch myself to believe that the BMW 335d xdrive m-sport is actually a diesel. It is so quick, so smooth and so quiet. 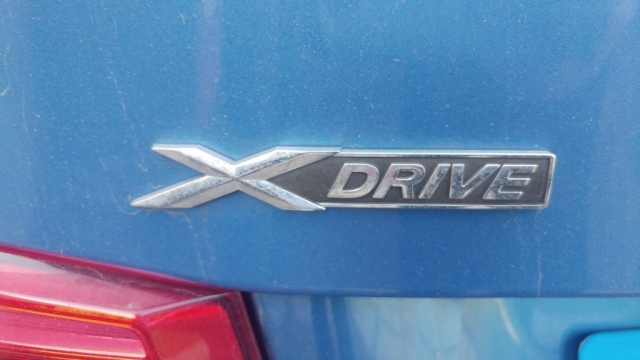 What’s it like to drive then? Well from engine start you’d be hard pressed to know you’re in a diesel as the engine noise is very different compared to other diesels I’ve driven in the same class and the roar even when moving off is synonymous with a straight 6 petrol let alone the clatter of a diesel. 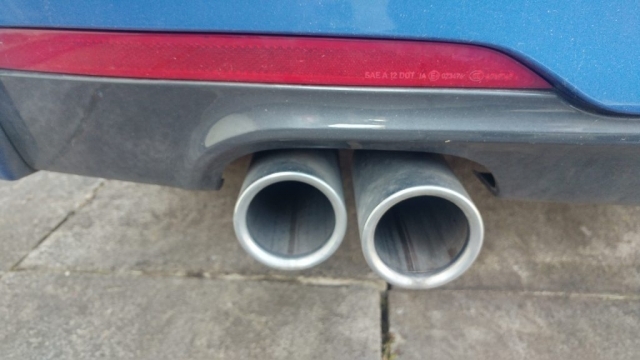 BMW have made a peach and you would struggle to know it’s a diesel. Power produced is 313bhp and 465lb/ft of torque which is rather a lot. If you ever wanted to demonstrate just how torque works put yourself behind the wheel of a car with lots like this. Open the throttle and your pushed back into the seats then within 5 seconds you’re at the national speed limit, keep your foot mashed to the floor and 100mph comes up not much longer after. The power from this engine starts as low as 1200 rpm and keeps going until you hit 5000rpm. The gearbox in this car is really good and mated with the xDrive four wheel drive system it was pretty difficult to get the wheels to spin even when the weather was wet, with the X-drive system your guaranteed to stay stuck to the road under normal conditions. The Bridgetone Potenza’s are great tyres with 225/40/18’s on the front and 255/35/18’s on the back and I am super impressed at how quiet they are compared to other run flats I’ve had in the past. Even round corners and over hilly terrain the 335d holds its own with great handling and even throwing it round the Cheshire and Derbyshire peaks for 4 weeks it hasn’t come unstuck once. 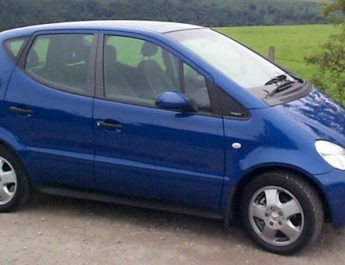 The brakes on this car are also pretty good and shrug the speed off with great efficiency however on one banzai trip over the Derbyshire peaks late at night I did get brake fade but I was absolutely caning it. The suspension also hold the road well but again when pushed it does feel a little soft but I wonder if this is because of the height of this car rather than the suspension. Over the mileage I’ve done in the past month I can, hand on heart, say I have enjoyed the power and grip immensely and on occasions have actually taken the car out, just for the hell of it. Something I haven’t done since my Subaru ownership days. This however brings me back to what I think about the rest of the car and how it lets that superb engine down. 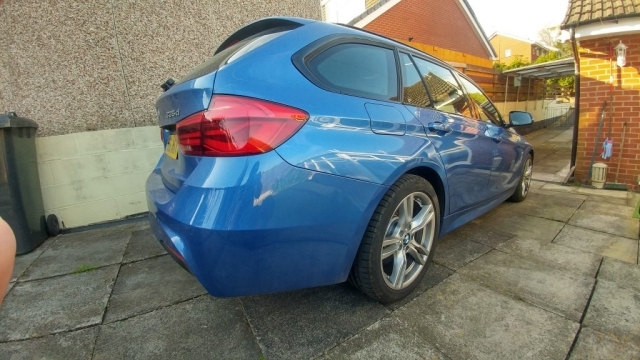 I’ll start with how the BMW 335d xdrive m-sport looks first of all. 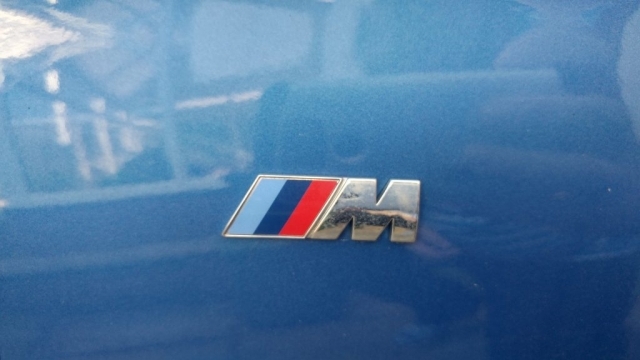 Unless you actually know you what you are looking at you would not know that this is an M Sport vehicle the badge’s are quite small and innocuous. 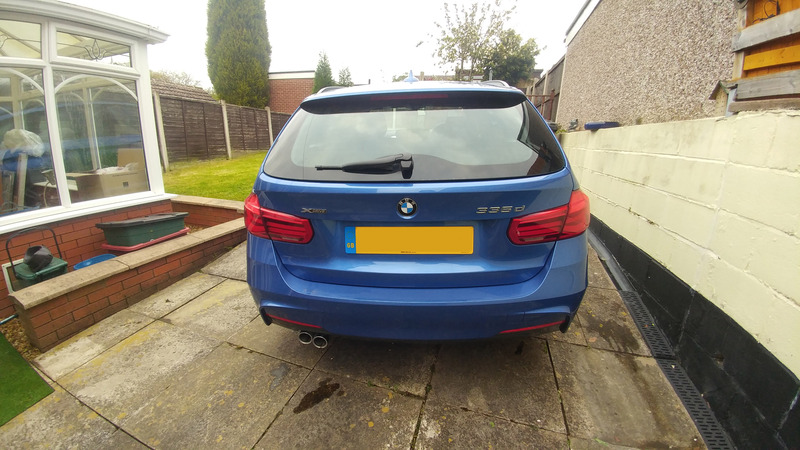 It’s only once you look at the rear of the car you see the 335d badge. 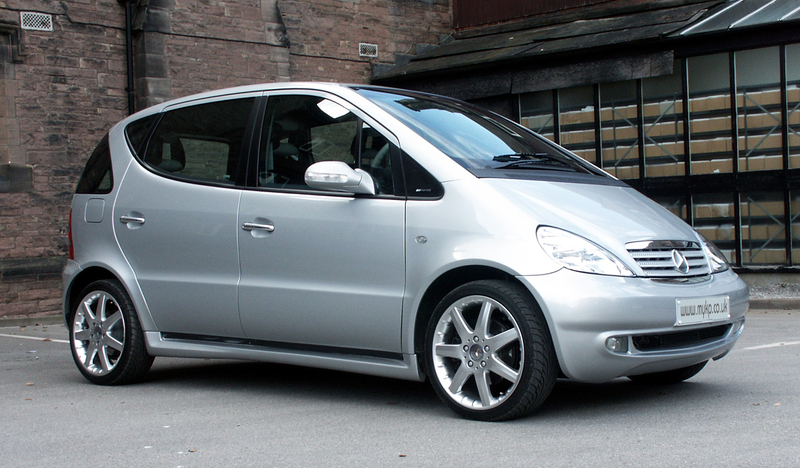 There is however nothing special about the exterior of the vehicle and to some the sleeper look might be it’s appeal. For me, however I expect the exterior maybe to have a few little tweaks to make the car look as special as the engine. Even the 18-inch alloy wheels somehow look a little lost on the 40 profile tyres fitted as standard. Once you move into the interior again this is a little disappointing and on a £42,000 car feels like I’ve just sat in a BMW 320d. The seats, albeit supportive, I could never get comfy in, even after having driven the car over two and a half thousand miles. Is it too much to ask for a £42,000 car to have a little seat adjustment in this ultimate driving machine? The seats feel like you’re either sat on the floor or your heads on the ceiling and seat movement is manual not electric. Maybe this is my midlife snobbery, or because I’m getting to be an old fart but I’m sure it saves weight! I’m not so sure if it’s plastic or the kind of fake leather but it just feel quite cheap compared to other cars in its class. Even a few of my friends who own BMW’s commented on the quality of the plastics and one or two did pull faces as compared to their Z4 and 535d they weren’t impressed with the quality. However the very same friend did pass the “f*****kin ell” comment when I took him out in it. My biggest gripe however is the command system who’s multimedia functions have driven me up the wall over the past month. The navigation (which I found amusing as it cant keep up if the car is driven at pace. Turn left, just as you pass left). The radio and a few of the functions work perfectly but the MP3 multimedia system has distracted me to the point where I’ve actually had to pull over and stop to get the music I wanted to listen to. One of my albums contains 40 tracks but the BMW system seems to think its 80 tracks and double plays each track! I play this album in many cars and no other vehicle is doing the doubling up. Also getting a list of all the Albums I found quite difficult compare to other manufacturers systems. Why does the system play the album repeatedly when I have 600 other albums? Play the next album like other manufacturers system do. However, I am sure this is just me being a man and not reading the manual? One of the other things which annoys me on every BMW I have driven in the past 10 years is the indicators, is it my imagination or do they just not want to cancel sometimes? Well would I buy one? Probably, yes and probably, no! It’s not the most comfortable car to drive long distances and I do about 20,000 miles per year. It’s not exactly fuel efficient as you do drive it like a looney all the time (I averaged 26mpg over a month and 2500 miles) and it’s not exactly my cup of tea because of the quality of trim. So, no! And then again I drive it and I think, “I can’t live without this engine” it is an absolute scream to drive. So maybe yes! Maybe the same engine in the more refined 5 series but then that’s a bigger car and not as quick!!!! 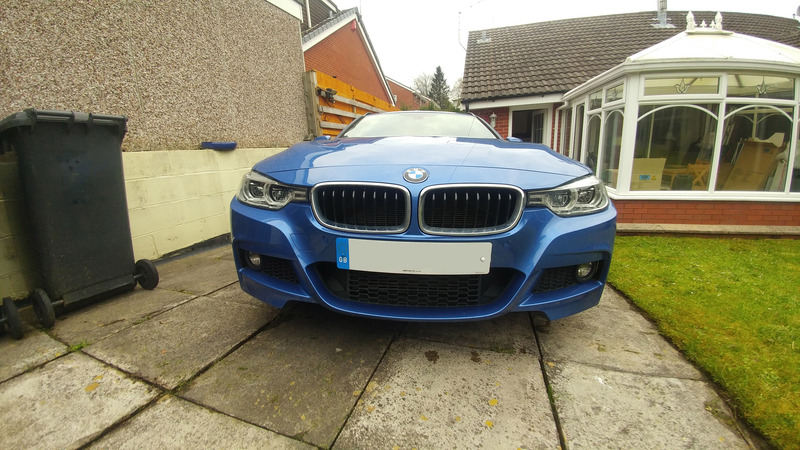 I do like my mates 535d especially now he’s had it remapped. Maybe I need another manufacturers car with this engine in it??? Maybe a diesel Toyota Supra? To sum up. 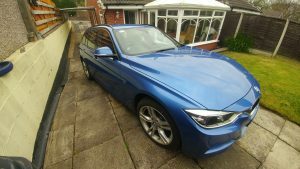 The BMW 335d xdrive m-sport is a monster of an engine in a midsized run of the mill estate car. Given the cost it’s a lot of engine for the money but refinement isn’t there for the price. However, and it’s a big however. For the money, no one else comes close to the price and performance in a diesel. I’d be hard pushed to not put this on my shopping list if I wanted a quick car of this size for under £50,000. Hi Mate, you might want to get it looked at. I’ve heard that some folk are getting under the normal consumption. I get 35mpg from mine, country roads overtaking left right and centre. If I’m under the limit on the motorway I seen it reporting 56mpg. Wasn’t my car so its gone back to the loan company. Its pretty hill round here and my normal commute is over the A54 up to almost 1500ft from 400ft so not the best for MPG. Your MPG are way off. I have one (salon) 65 plate and average 39.4 and that is with quite a bit of fun. At 50 -70 I get 48-49 mpg. Agree with pretty much everything ; it is still a 3 not a 5 but the engine and gear box F**k ME! To be fair Richard, it wasn’t my car and I drove it round like it wasn’t my car. If it was mine it would do more mpg. Get 60+mpg out of my E class Merc (fing boring though). I have one, 42 to 44 mpg, never less. As for the Sat Nav telling you ‘turn left now’ well, it does give advanced warning ‘prepare to turn left’, then ‘turn left in 100 yards’ etc. The reason it tells you to turn left at the precise moment you are there is because it had pre-warned you, and because streets in town can be very close together. I have found the sat nav spot on, and if you decide to ignore the command, it very swiftly re-calculates a new route. The power and torque are very welcome in hilly areas (still get 42 to 44 mpg, and that is brim to brim over three tankfuls, and repeated. I’m surprised by your comments on the infotainment unit – I have one and it’s so easy to use. It’s also recognized as one of the best on the market. I get to drive a lot of cars, many different makes and maybe I’m a bit biased to you but I think compared to the Mercedes unit it’s not as good. 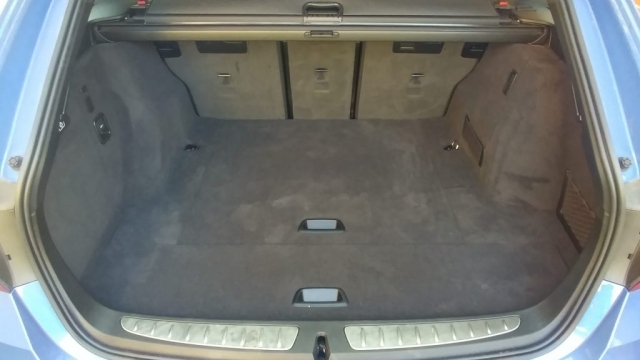 I do agree with your comments about the boring interior but that engine…. I’ve got one – in Estoril blue too. Have to say I agreed with pretty much most of your review. It’s a complete hoot to drive and you will have to be one brave soul to find its traction limits. Comfort wise I have no issues at all – in fact i find it more comfortable than my Jag XJ (X351) and that’s with ACS springs. I have the 19″ wheels as the 18’s do look weedy. I’m a crusty (over 50) and actually like the Q car looks – much like my Scooby Legacy Spec B of old. I have to say I love the car and driving it brings the biggest grin every time. I go the long way home just for the buzz. As for the interior, it’s a BMW so never going to get the juices flowing – Teutonic imagination at its best. 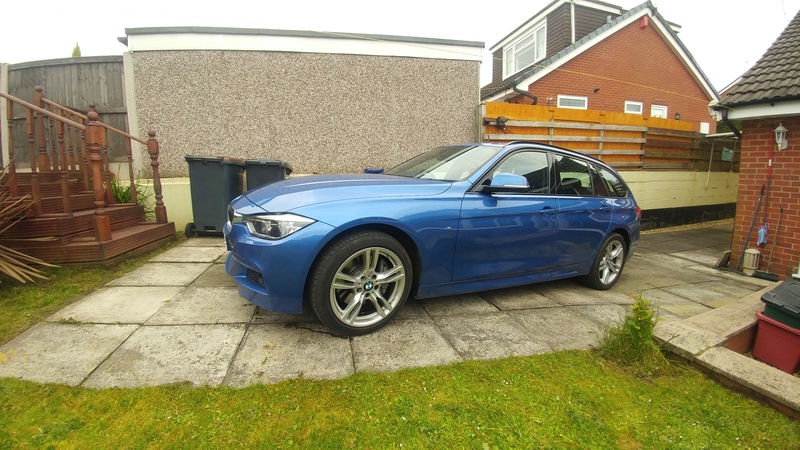 I have just bought a 335d X drive, Dec 2018, pre registered with 5 miles on clock, to early for fuel consumption figures, had electric seats ( minus lumber support ), and opening sun roof, still running in but have seen a bit of the power, gooddd, paid £30,000 for it from a dealer, thought that was a good deal ! I think I`ll probably get to like it.